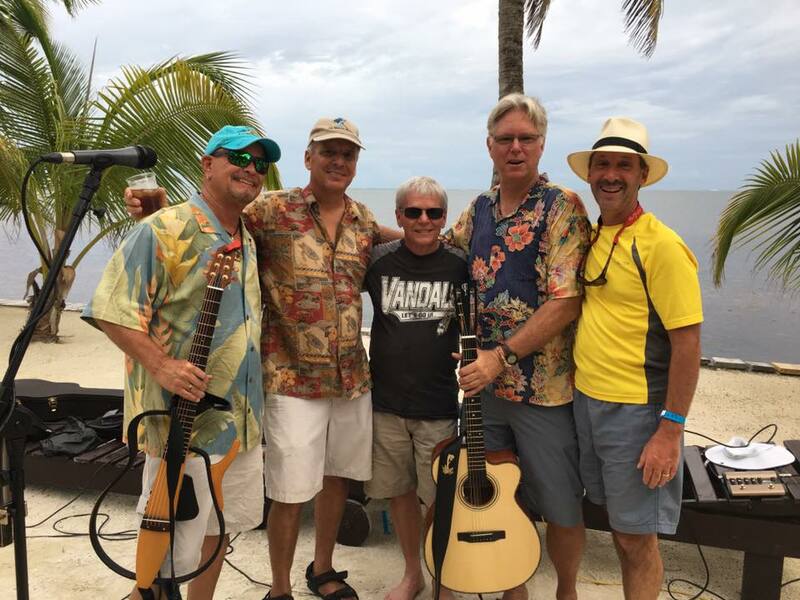 Belize 2017 with Kelley McGuire, Mark Mulligan, me, Sunny Jim and Dave Monahan. 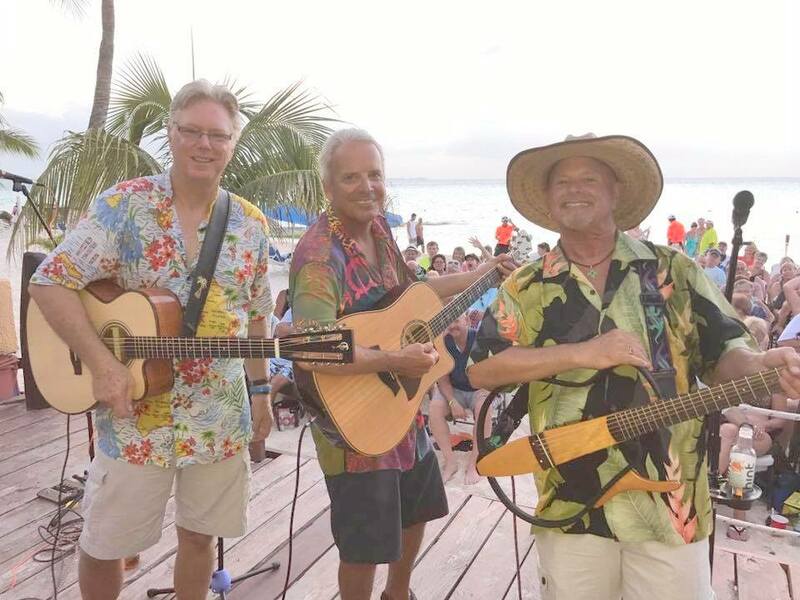 May 2017: 'Sunny Jim' with Mark Mulligan & Kelly McGuire in Isla Mujeres, Mexico. Jim playing his new Giltzow Guitar. 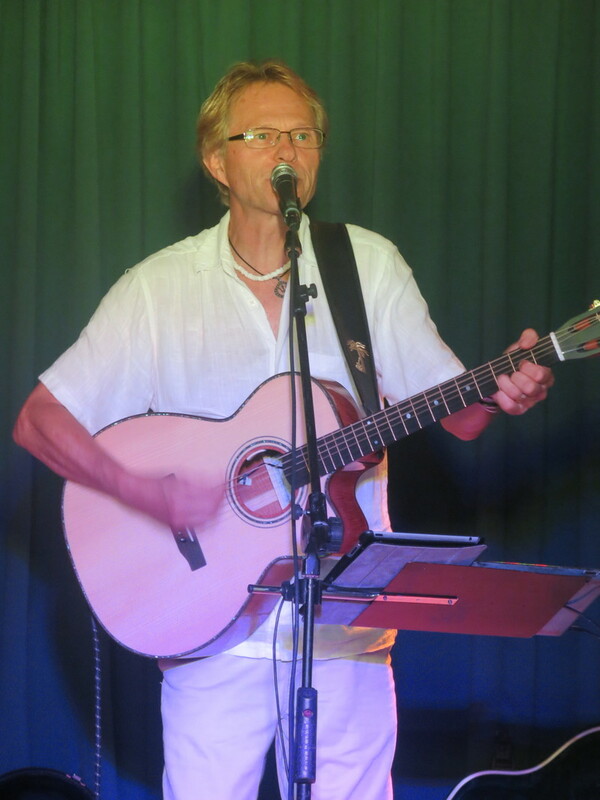 Sunny Jim tries out his new Giltzow Guitar at 'The Club Barbados'. 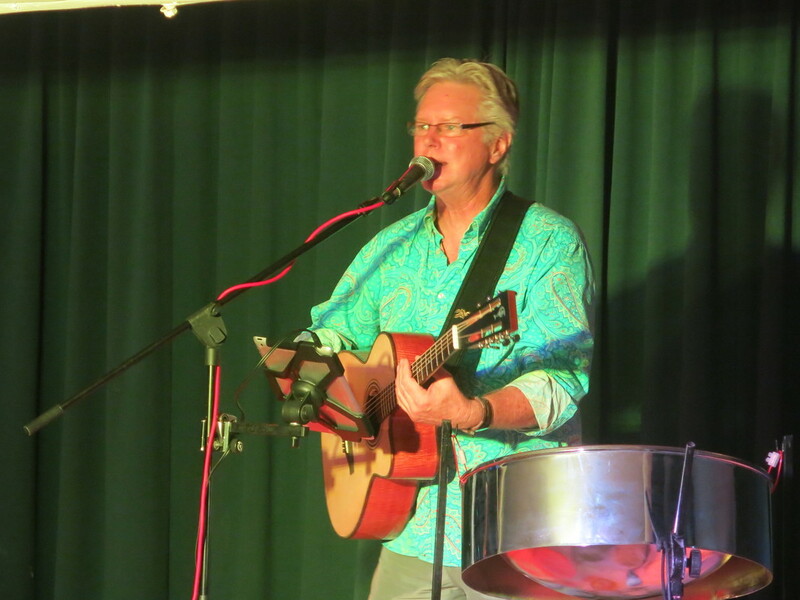 Tom Becker of 'Latitude' (formerly with The New Christy Minstrels) on stage at 'The Club Barbados'. Playing 'Sunny Jim's' new guitar. 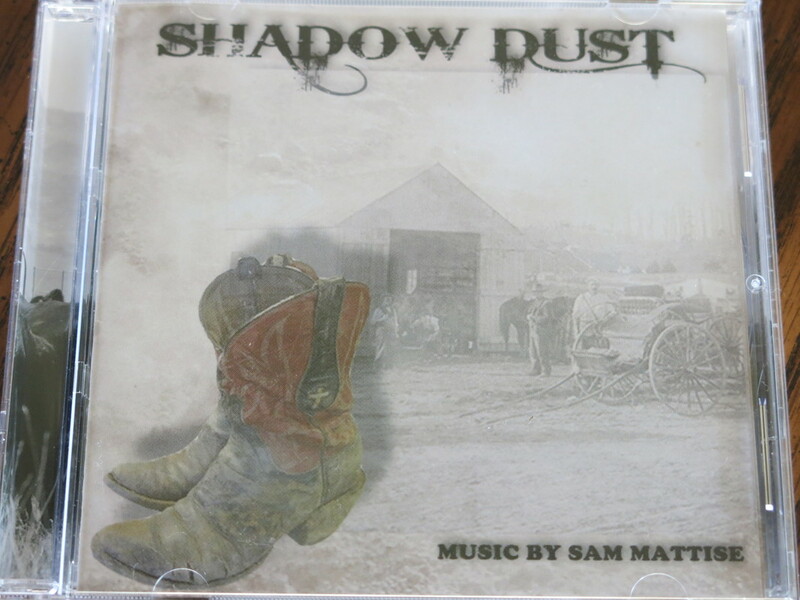 March 2017 - Two photos below of Sam Mattise's new CD. Inside cover picture of Sam with his Giltzow Guitar. Photos by Michael Luque, Bear IT Design & Photography. 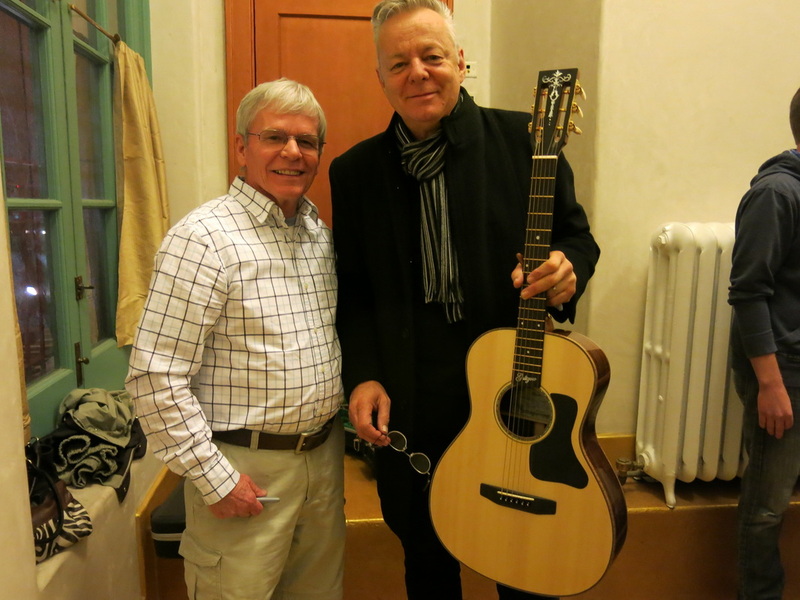 February 17, 2015: Back stage with Tommy Emmanuel at the Egyptian theater in Boise. 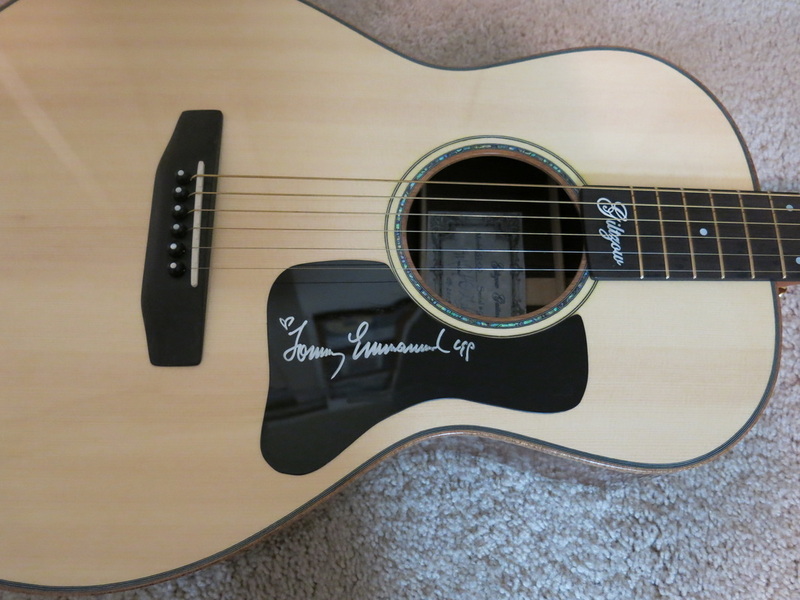 Tommy plays and signs a Giltzow Guitar! 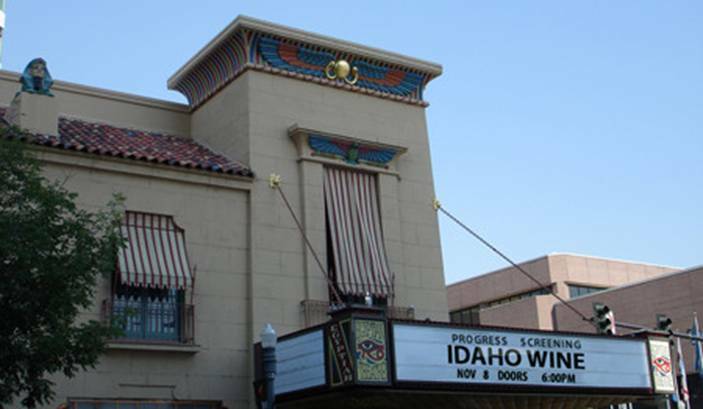 November 8, 2014: The Idaho Wine Documentary at the Egyptian theater in Boise, Idaho. 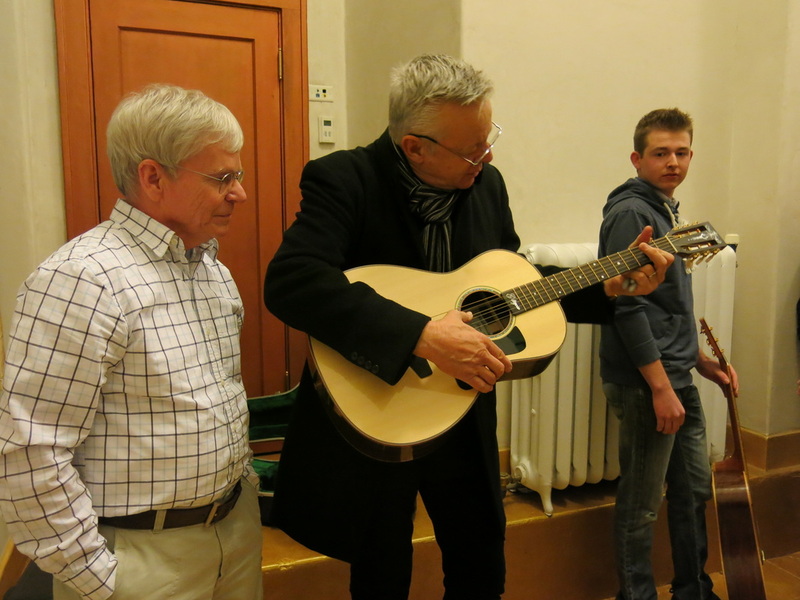 Colin Fox wrote the soundtrack with the help of his Giltzow Guitar. He also played all the guitar music on that soundtrack with his Giltzow. 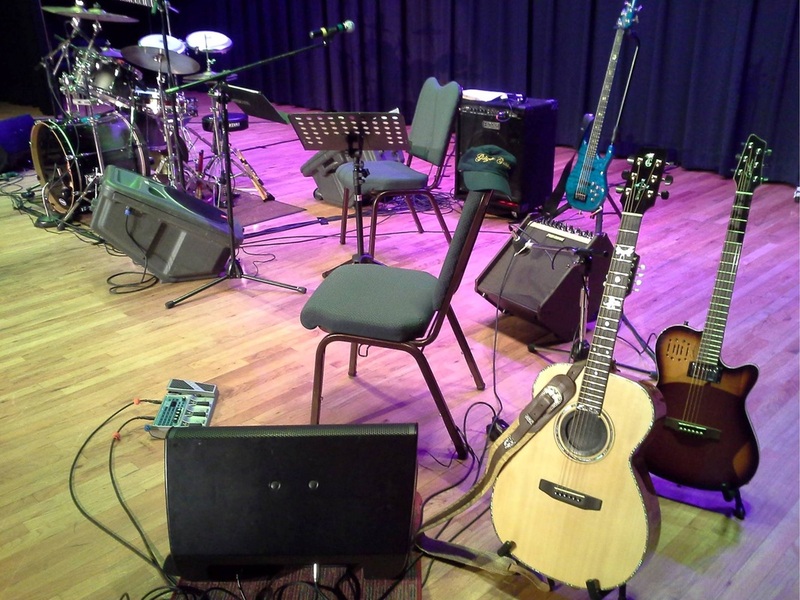 C﻿﻿olin is a very talented young man and I feel fortunate to have him playing one of my guitars. 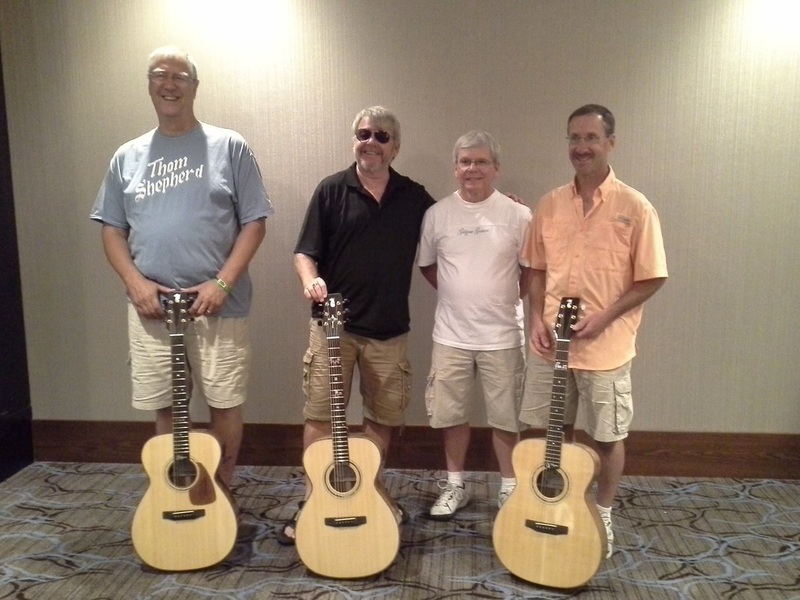 Peppershock Media, the film company, also including Giltzow Guitars on the credits at the end of the movie. Very nice of them and much appreciated. Colin Fox - "I love this guitar and I'm thankful for it every time I play it, it's a phenomenon." 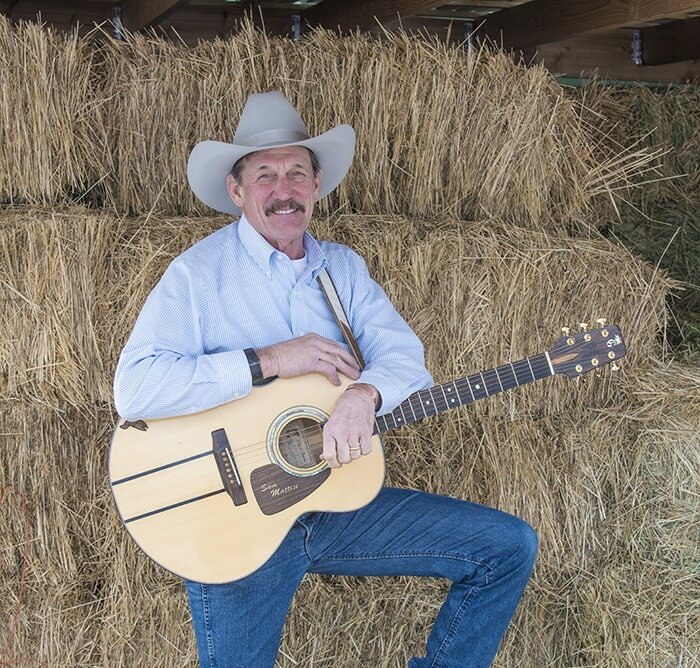 November 7, 2014: Peg and I attended the Diamondfield Jack Cowboy Gathering in Rupert, Idaho at the historic Wilson Theater. Curt "Snooze" Argyle of Saddle Strings presented me with Saddle Strings latest CD - "Pirates of the Sage". 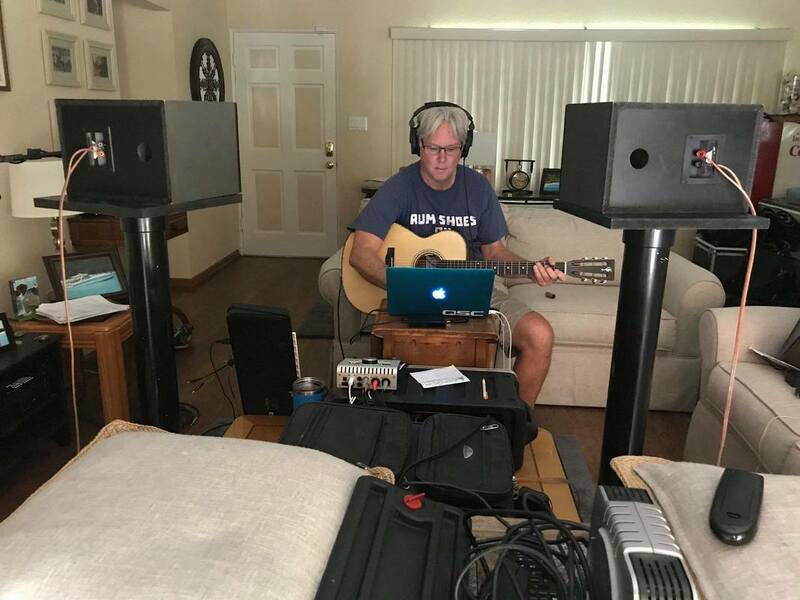 All the bass tracks where played with his Giltzow Acoustic Bass Guitar.